Mrs Fitz has returned home from work as she really is not well. A terrible cough coldy thing that kept her up most of the night.. So after dosing with smuggled spanish pharmaceuticals.. ( why can’t you get the good stuff in the UK?).. 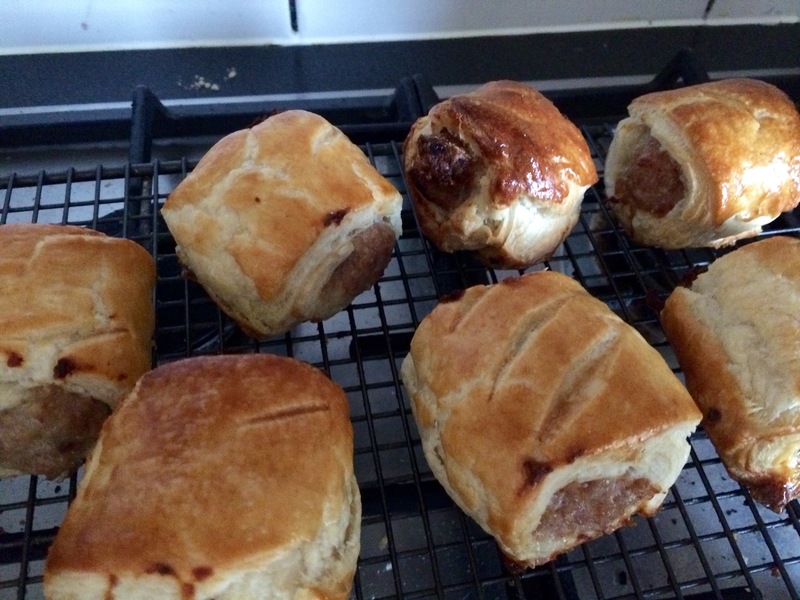 Something to eat is called for..
What’s more comforting than sausage rolls? Flaky pastry.. Meaty porky porkiness.. Hot from the oven with a dollop of red sauce…perfect! 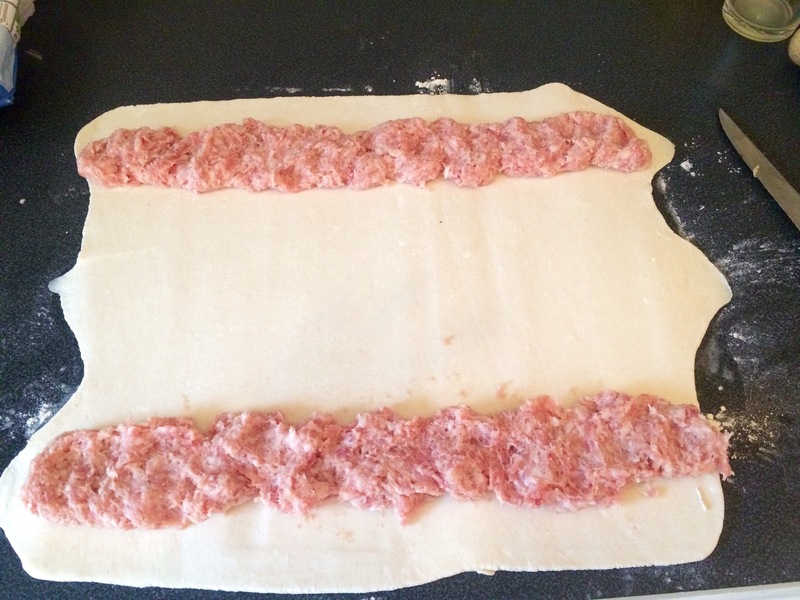 Store bough pastry rolled out.. Excellent sausages skinned and placed atop.. Into a hot oven at 195 real money..till when you peer through the glass the pastry looks cooked through.. About twenty minutes I guess.. Cooled on a wire rack .. Just so you don’t burn your mouth ! And with a dollop of red sauce.. Eaten in bed for maximum effect..
That’s a good hug right there.. They make a great breakfast! Too many crumbs in the bed! 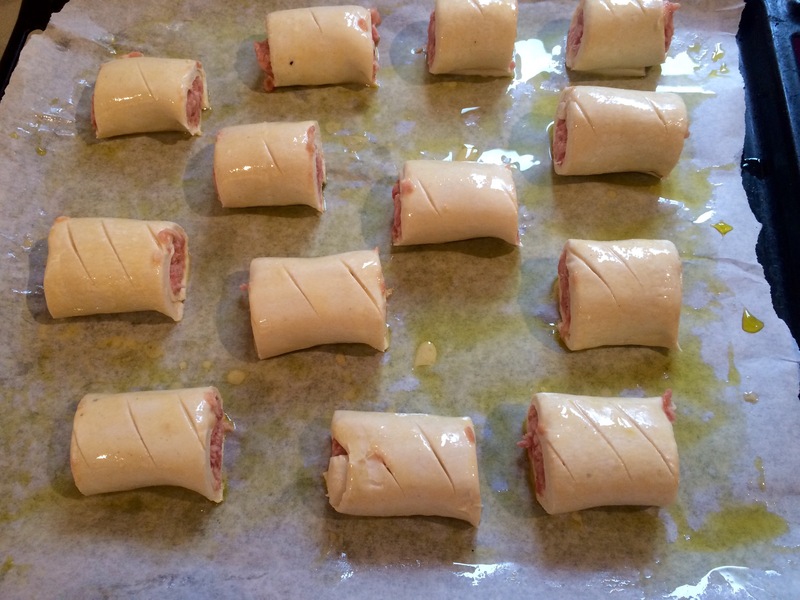 When I eat sausage rolls, I want to eat standing up and outside…maybe I’m just a messy eater. 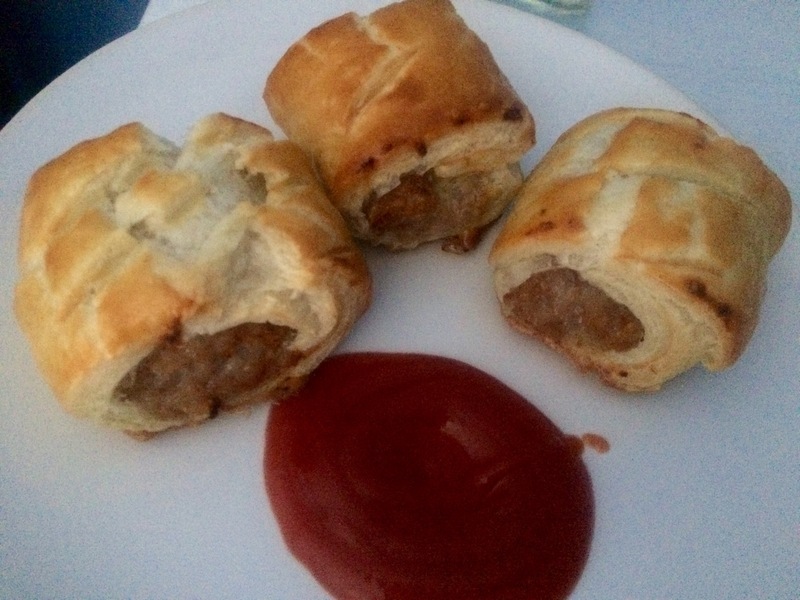 I just realised that tomato soup would be great with sausage rolls too. You could ease her in gently. Hope the Mrs is feeling better today. Agreed tomato soup would go very well! A little better today not a goodnight sleep ..